St. Augustine Beaches News Journal December 20132 St. Augustine Beach Civic Association St. Augustine Beach Civic AssociationSURF ILLUMINATION SURF ILLUMINATIONPresentsArts & Craft Vendors Carolers & Holiday Music Food & Hot Beverages from Local Restaurants Tree Lighting & Park Illumination at SunsetFor Information Saturday, December 7th4 pm to 7 pmSaturday, December 7th4 pm to 7 pmSaint Augustine Beach Pier Park Saint Augustine Beach Pier ParkCall 347-8007 Call 347-8007 ST.JOHN S COUNTY, FLORIDATOURI S T DEVELOPMENT COUN C IL 350 A1A South Beach Blvd. 50% off *SERVING PASTA, CHICKEN, VEAL, SEAFOOD, SALADS, PIZZA & FRESH BAKED BREAD DAILY!WE ARE A FAMILY OWNED ESTABLISHMENT. ALL OUR MENU ITEMS ARE MADE INHOUSE AND COOKED TO ORDER Buy one entree or Pizza at full price get a 2nd entree or pizza of equal or lesser value for 50 % off. Cannot be combined with any other offer or coupon. Simply clip this ad and present it at either of our Romano's locations. Our complete Restaurant Menu is available for FREE delivery. Valid through 12-31-2013. DINE-IN PICK-UP OR DELIVERY Telephone 461-1111 We also offer: 904-471-1023Make it a sparkling Christmas with Diamonds, Diamonds, Diamonds! Make it a sparkling Christmas with Diamonds, Diamonds, Diamonds! 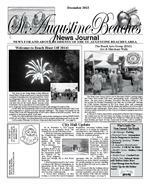 St. Augustine Beaches News Journal December 20137 See page 8 for shuttles and road closing. St. Augustine Beaches News Journal December 201313 Celebrating 15 years in Business Bring this ad to receive a VIP Discount CardGood for 1 year!Hours: Monday, Wednesday, Friday 10am-5pm Tuesday, Thursday 10am-6pm Saturday 10am-2pmWalk Ins Welcome!471-82224110 A1A South (Sand Piper Plaze) St. Augustine, FL 32080 By Rob Stanborough PT, DPT, MHSc, MTC, CMTPT, FAAOMPT First Coast Rehabilitation (904) 829-3411Crooked FeetWith the holidays approaching many of us will increase our walking. mall and the paved streets downtown. Its an enjoyable time for most unless you have painful feet. If so, its just one more thing that can make this season a challenge. People experience foot pain for a number of reasons. We have people come for therapy due to plantar fasciitis, stress fractures, overuse injuries and bunions. Its the latter Id like to focus on. My grandmother had bunions and blamed it on her tight shoes but this is only partially correct. Believe it or not bunions form to protect the feet. As pressure is place against the big toe develops in an effort to protect the joint and counter the pressure. It could be when the arches have fallen. The arch we usually see in peoples runs from the inside of the heel to the big toe. Sometimes it does not develop bone in the arch moves closer to the ground and rolls in, toward the arch. This puts the tendon on the underside of the foot on great tension which in turn pulls the tip of the big toe toward the Sometimes it pulls so hard it causes the big toes to cross over the others. If this is you, you have whats called a hallux When a hallux valgus is formed the joint of the big toe presses and rubs against the inside of the shoe. Such constant or regular pressure will produce thickening of the tissues and the development of bony hurt much initially but as time goes on the pressure builds, the tendon gets sore and the joint does not function properly. It can become extremely painful as the bunion just keeps growing and growing. foremost, prevention is best. If you have a family medical history of hallux valgus and your arches have or are falling, make sure you have proper footwear, with adequate arch supports. If you have already started to develop a bunion, it will not resolve itself but conservative treatment such as manual therapy, exercise and proper footwear may prevent further damage. However, if the bunion has grown too large and has become too painful, many folks chose surgery and have the bunion removed. Surgery is usually followed-up with physical therapy to assist in proper movement and healing. Ive helped many individuals recover following surgery and theyve done very one thing that is imperative is to treat that fallen arch, even after the bunion is gone. It can come back, especially if the arch does not get support it needs. So, if you have a bunion, get support. If youve had support. But if your shoes are too tight, just loosen them up a little and enjoy the season. Happy Holidays from all of us at First Coast Rehabilitation. Rob Stanborough is a physical therapists, president and co-owner of First is co-author of Myofascial Manipulation: rd ed by Proed a Fellow of the American Academy of Orthopaedic Manual Therapists. Read previous columns posted on www. ALLSTARINC.Electrical FULL SERVICE ELECTRICAL CONTRACTOR Family Owned Over 30 Years Experience FREE ESTIMATES Call for Discounts & Specials Trouble shooting Circuits Check Mobile Homes TV, Cable, Phone Wiring New Construction Ceiling Fans Repairs Generators Installed Pool & Pond Wiring Service Changes & Upgrades Decreased Power Problems Washer/Dryer Receptacles Indoor/Outdoor Wiring Surge Protection24 HOUR EMERGENCY SEVICE904-460-1001CALL! WE DO IT ALL! !Credit Cards Accepted 1965 A1A S, St. Augustine, FL 32080 #180Todd Logsdon General Manager Email: beachesnewsjournal@yahoo.com Cliff Logsdon, Publisher/Editor Email: clogsdon1@yahoo.com Online at www.beachesnewsjournal.comThe function of the Beaches News Journal is to serve the Neighborhoods of the St. Augustine Beaches area. First priority will be given to reporting news and activities of beaches residents and organizations, as well as news and events that directly affect the St. Augustine Beaches community. Second priority will be given to articles of general interest as space permits. Articles or information may be sent to the Beaches News Journal, 1965 A1A South #180, St. Augustine Beach, Florida 32080-6509. Information may also be e-mailed to beachesnewsjournal@yahoo.com or the editor at clogsdon1@yahoo.com. All articles, news, ads, or other information submitted to the News Journal are subject to editing. Publishing of submitted letters and information is at the discretion of the publisher. Views and opinions expressed are those of the writer and do not express the viewpoint of the publisher or editorial staff of the News Journal. All ads submitted for publication in the Beaches News Journal should be received by the 15th of the month in order to appear in the following months issue. Matters concerning advertising should be referred to the General Manager or mailed to 1965 A1A South #180, St. Augustine Beach, FL 32080-6509. The Beaches News Journals acceptance of advertising, articles, advertising, or other information does not constitute endorsement. Nor will the Beaches News Journal and its staff be held liable for information provided herein by submitters, including websites and/ or emails listed, that may have the potential to constitue fraud or other violation of law. The publisher reserves the right to refuse advertising or information that does not meet the publications standards. The Beaches News Journal is published by an Augustine Beach community development, management company or Homeowners Association. City of St. Augustine BeachSt. Augustine Beaches News Journal Mayor S. Gary Snodgrass City Manager Max Royle www.staugbch.com sabadmin@cityofsab.org St.AugustineBeaches Youre invited to come experience the magic and excitement of the holidays at the St. Augustine Winter Spectacular! Directed by Stephanie Burkhardt, Executive Artistic Director of The Dance Company, this new production will be debuting Thanksgiving weekend and will kick-off the holiday season in the nations oldest city. A family entertainment production, the show will feature different scenes that comprise a storyline with dances choreographed by local and guest artists in ballet, tap, modern, musical theatre, jazz and acrobatics. The show will star The Dance Companys elite Performance Ensemble as well as other dancers who auditioned for roles. Brittany Marcin, an alumna of The ST. AUGUSTINE WINTER SPECTACULAR TO DEBUT Dance Company who is a former Radio City Rockette, and currently performing in various roles on Broadway, choreographed a Broadway-style jazz number featuring high-kick dancers for the production. Carey Stomkin, former choreographer for the Hungarian National Dance Academy and instructor for Brooklyn Ballet, choreographed a pointe piece for the advanced ballet students set to traditional holiday music. The Dance Company, located in the Cultural Arts Center in St. Augustine dance studio that has been providing strong technical and artistic dance training for the past 20 years. The studio has four state of the art dance rooms with premium sprung for dancers in training, with a beautiful ballet room overlooking the Atlantic Ocean and St. Augustine Beach pier. Our goal is to help kick-off the holiday season in the nations oldest city by providing high-quality entertainment during a weekend with family and Burkhardt. Two performances of St. Augustine Winter Spectacular will be held in the Lewis Auditorium at Flagler College, 14 Granada Street, on Saturday, November 30 at 7:00pm and on Sunday, December 1 at 2:00pm, in downtown St. Augustine. Tickets will be available for purchase in early November. Visit The Dance Company website at www.thedanceco.com or call the studio at 904-471-4946 for more information. An event website will be available soon. St. Augustine Beaches News Journal December 2013 16 A legless lizard yes, NOT a snake licks ants off a warm concrete driveway while a green anole hides in plain view among the cacti it calls home A blue-tailed skink escapes a cocktail glass. A tree frog pretends to be a pine cone on holiday wreath These four creatures were captured with an iPhone in the same island garden, all within a 24 hour period. Wildlife requires three key ingredients in order to survive and thrive: water, a place to hide from predators, and food. The easiest way to accomplish this in your own backyard: eliminate and/or reduce the use of chemicals and resist the temptation to over groom grass, shrubbery & leaf litter.